Modular construction has been around since the early 19th century when Henry Manning designed and constructed cottage components in the United Kingdom and shipped them over to Australia to be erected. However, despite having existed for over 150 years, modular construction still seems to be a relatively unknown or unproven method to many outside the world of construction. In fact, with today’s construction techniques, it can be difficult to differentiate between stick-built and modular buildings to the untrained eye. Nevertheless, the most important part of understanding modular construction is understanding its processes, the different types of modular construction, and most of all, understanding the benefits of it. So let’s get started! How exactly does modular construction work? Like Henry Manning in the 1800’s, modular construction typically takes place in a setting away from the actual building site with the structure’s design already being taken care of. However, in the time since Manning’s first modular building, there have been many new developments to improve the process. Today, modular structures are assembled in an absolutely controlled, factory-like environment. In some cases, like modular homes or our inplant offices, the structure or building consists of many different sections. The sections are prefabricated inside a facility, compactly shipped to the site of the construction project, and then put together perfectly onsite like building blocks. These “modules” can range in size depending on the size of the overall construction project. In some instances, the module is the size of a trailer and is used to make a much bigger, sometimes multi-story building. In the case of Panel Built, the modules are simply panels which eventually will snap into place to make up the entire building or inplant office. Modular construction takes advantage of the microeconomic term of “economies of scale.” What that means for modular construction is that cost per module and production are inversely related. As Panel Built produces more modular structures, the variable cost per module (or panel) decreases. The reason modular construction companies see these economies of scale is because of the assembly line way of constructing their product. With their entire end of the construction process taking place in a controlled environment, the module moves from station to station with each specialized post adding a piece to the product. To go along with this assembly line method, Panel Built, Inc. employs a binder-post system which allows them flexibility in the size and shape of the structure. Because of the factory environment, and the use of numerous extremely similar modules, modular construction tremendously reduces the amount of waste produced by the construction project. The factory setting keeps unpredictable elements like the weather out of the equation, lessening the chance of damaged materials. While the structure is being manufactured in the plant, the construction site can be prepped for installation, allowing for these two processes to occur simultaneously. Because of this unique process, modular construction projects can be up to 30-50% faster than stick built. Within some more remote areas in the United States, there are very few choices between construction companies or sometimes practically none at all. 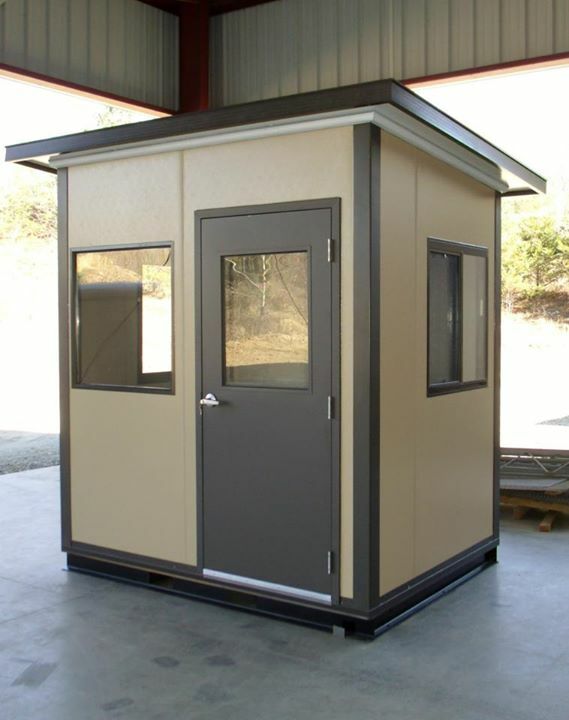 However, since every structure we manufacture is shipped to its final destination, modular construction can service even the most secluded areas of the United States and Internationally. With modular construction, our structures can be installed to the job site in a fraction of the time of stick built, only requiring the building or structure to be fastened to the concrete. Overall, modular construction can provide some distinct advantages over stick-built due to its assembly line mentality to the construction process. Through the use of mass customization, these modules can be linked together to form a practically limitless variety of structures. For sectors such as education, military, industrial, and others modular construction allows for a quick, cost-effective method of executing a construction project, without putting day-to-day activities on hold. If you want to learn more about modular construction, or start a modular construction project of your own, contact our sales team, or request a quote on our site. The most important part of understanding modular construction is understanding its processes, the different types of modular construction, and most of all, understanding the benefits of it. So let’s get started! 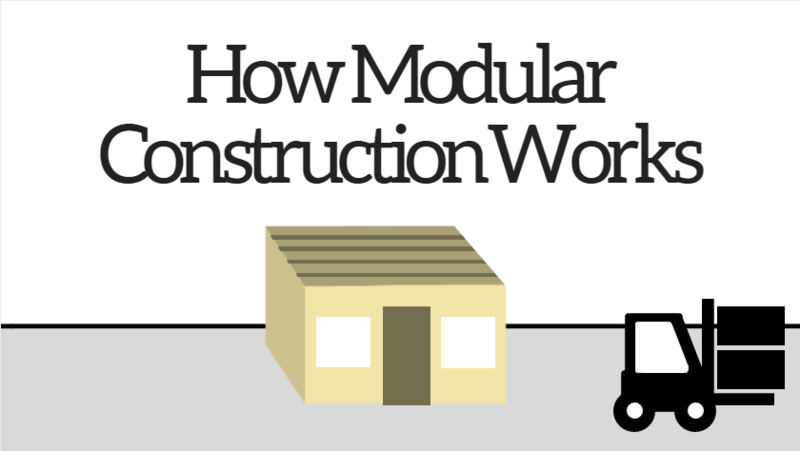 How exactly does modular construction work?